Gilman School traveled to New Jersey over the weekend to participate in the Peddie School Invitational Tournament. The Greyhounds finished 4th in the event after a 67-66 loss to New Jersey’s Hun School in Sunday’s 3rd place consolation match. In a “very well played” contest, according to Gilman coach Owen Daly, Brandon Madison finished with 20 points for the Greyhounds (5-3 overall) with Donald Duncan and Jalen Rucker adding 18 and 16 points, respectively. Duncan, a senior guard, was named to the all-tournament team. Duncan had 21 points as Gilman dropped an 83-65 semifinal decision to host and eventual champ Peddie School Saturday. Rucker, a sophomore, posted a game-high 24 points. Gilman opened play Friday evening with an 80-42 rout of Life Center Academy from New Jersey. Duncan and Rucker each finished with 18 points, and Madison chipped in 12. 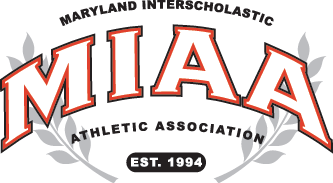 The Greyhounds return to MIAA A Conference competition Wednesday with a home match against St. Vincent Pallotti.